KTMtwins.com KTM Motorcycle and Product News: Mefo Tires for the KTM 950/990 Adventure and 950 Super Enduro are now in stock for shipment! 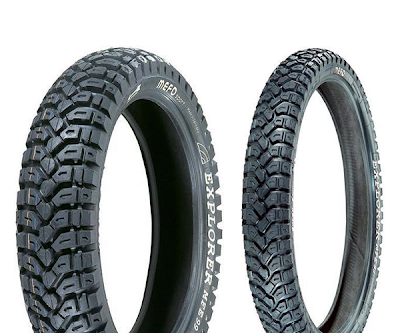 Mefo Tires for the KTM 950/990 Adventure and 950 Super Enduro are now in stock for shipment! It's Mefo and not Mofo. Yes the tires that are becoming the talk of the town with all adventure riders are here. They are soft with lots of aggressive knobbies but designed in a way that shows you they will be confident on tarmac. They feel like they would wear out in 2000 miles but reports are coming in that prove they are lasting 7000 to 9000 miles. Not highway miles but miles used to trek through some of the harshest offroads in the county. If you are interested today is the day to order them before they are all gone!